Vancouver, B.C. (April 15/14) – Red carpets, champagne receptions and $250-a-plate dinners have never been part of Patti Tubbs’ lifestyle. She’s a 48-year-old single mother surviving on a monthly $900 disability pension who tries to make ends meet by delivering pizza at night and occasionally selling one of her racing-related photos at Hastings Racecourse. Her story is one of tragedy, personal health issues and broken dreams. 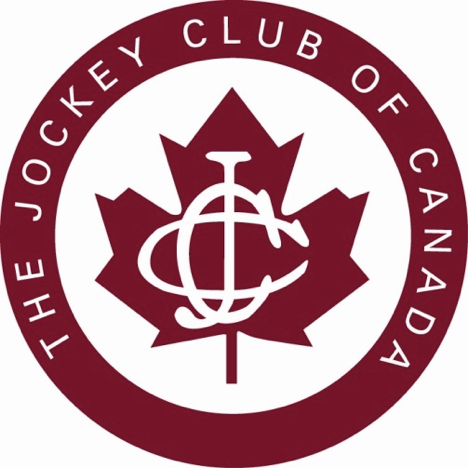 It is also one of unimaginable courage and perseverance, peaked by her 2013 Jockey Club of Canada Sovereign Award in the photography media category presented April 11 at Woodbine Racetrack in Toronto. 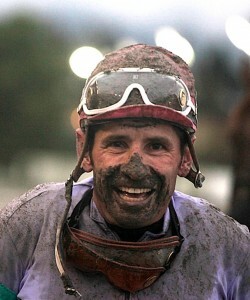 Her winning entry was a candid shot of muddy-faced veteran jockey Frank Fuentes heading back to the winner’s circle after a victory at Hastings Racecourse. Her 20-year-old daughter Amanda had made the 3,000-mile trip from Vancouver to Toronto with Patti, only the second time the two had been on an airplane. “It wouldn’t have happened without so many of my friends at Hastings helping out with the funding,” Patti says. One horse owner of note, who doesn’t want to be identified, donated the airfare for the Tubbs ladies while other contributions from Hastings horsemen helped cover hotel and food costs. Despite being born without a hip socket, Patti managed to work as a youngster in the barns at Hastings for her mother Maureen, a respected trainer in a small stable. Patti’s father Gerry and brother Chris were outriders. It was in 1999 when things turned upside down in the Tubbs family. Maureen was driving her minivan to work from their farm in Aldergrove when a speeding car ran a red light at Cassiar and Hastings Streets, just minutes away from the racetrack. Maureen died at the scene. “It was really a tough time,” Patti says. “I was struggling both emotionally and physically. I’d had 37 surgeries, 34 of them on my legs. I simply couldn’t continue doing physical work at the racetrack anymore but there was no way I was going to give up the life I loved, being around horses and the people in the industry. That’s when I came up with the idea of becoming a track photographer. “I bought a camera, started snapping shots during morning workouts and eventually trainers, owners, jockeys, grooms and hot walkers began supporting me by purchasing them.” Her 2013 Sovereign Award winning photo will obviously be in demand once the thoroughbred season at Hastings gets underway. The Sovereign Award, she might have added, is simply the ideal topping.